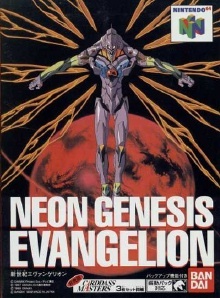 This Neon Genesis Evangelion game was only released in Japan. It is based on the full feature film that followed the end of the anime series. The game missions focus on the 13 major enemies from the series. The main protagonist in the game, like the series, is Shinji Ikari—the young boy who controls the Evas (large bio-machines) against the Angels monsters. In this game, players can also play as two female Eva pilots: Rei and Asuka.